Historic Smithfield is a historic wedding venue located in Blacksburg, Virginia that has been restored to its original architecture. This pre-revolutionary structure links the past with the present and offers a peaceful atmosphere for couples and their guests. Located just minutes for Virginia Tech, Historic Smithfield is considered one of the best venues in the New River Valley. 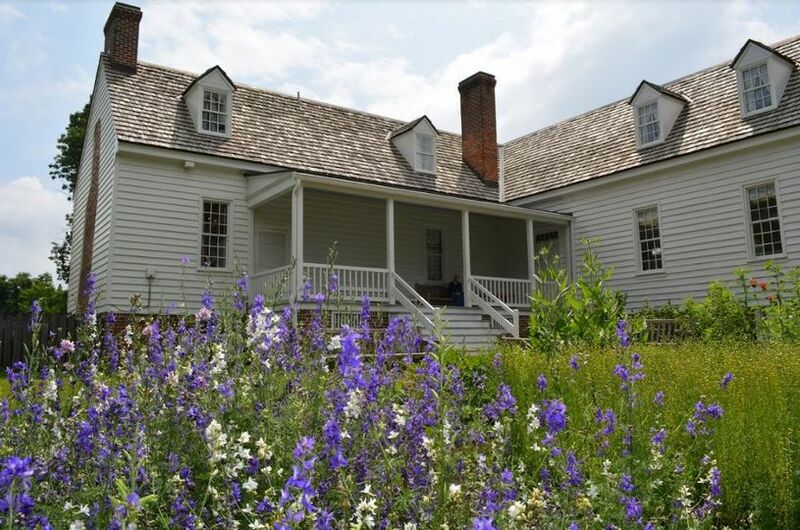 Serving as a historic house museum, this location offers scenic views, lots of history, and plenty of modern conveniences. 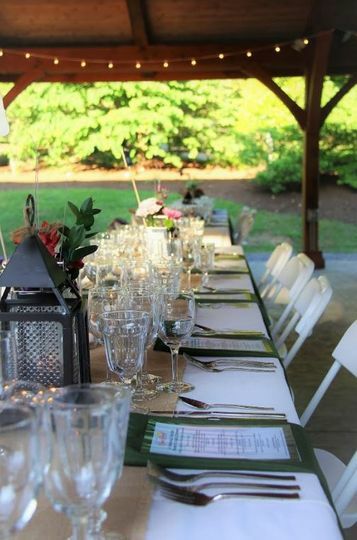 Historic Smithfield features outdoor accommodations for up to 250 guests. 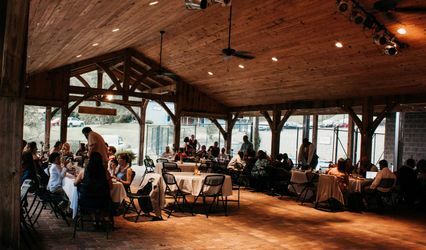 The Pavilion is the ideal place for a wedding reception, featuring an open structure with 100-year-old beams and seating space for up to 150. The Pavilion offers modern conveniences and 2,400 square feet of space to host all aspects of your special event. 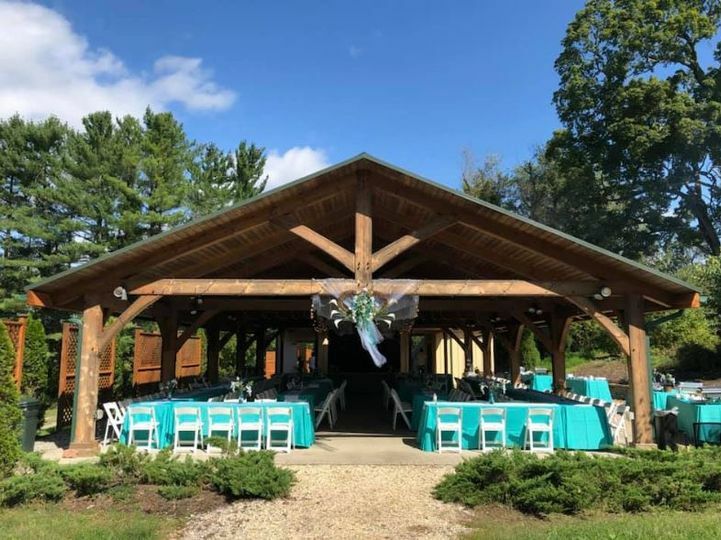 This outdoor, covered facility is complete with a stone fireplace, stone pathways to the ceremony and reception sites, a modern catering kitchen, a bridal changing room, handicap accessible bathrooms and parking spaces along with scenic views of the beautiful grounds and gardens. 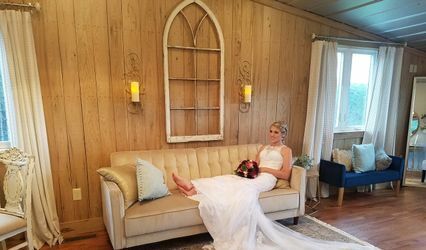 Historic Smithfield is available to host your wedding ceremony, cocktail hour and reception. Additionally, Historic Smithfield is able to host a variety of other special events, including, but not limited to: club meetings, corporate retreats, musical events, private parties, and birthday celebrations. A leader of the westward expansion, William Preston established Smithfield as his home after the Revolutionary War. After the completion of the Historic Smithfield Plantation in 1774, the facility served as a political and social center. Smithfield is on the National Register of Historic Places and the Virginia Landmarks Register and operates today as a historic house musuem in Blacksburg, VA.
First kiss as Mr. & Mrs. 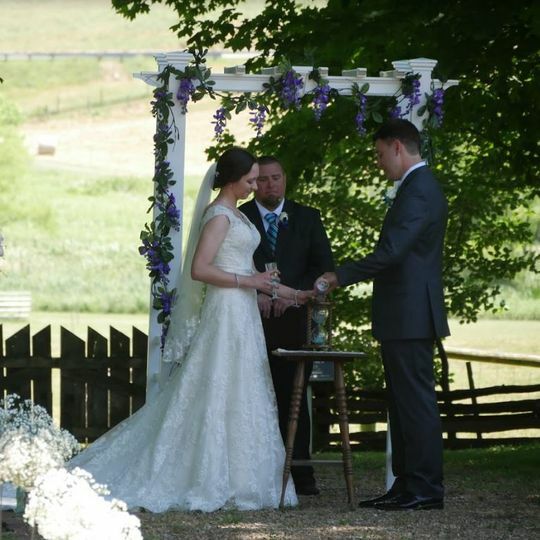 I held my ceremony and reception at Smithfield and it was the perfect venue for two Hokies who love Blacksburg but didn't want a maroon and orange wedding. The grounds are gorgeous and the pavilion ended up being a God send. We planned to have an outdoor ceremony and tented reception, but of course, it rained just as my ceremony was about to start. We moved the ceremony to under the pavilion and my guests raved about it. 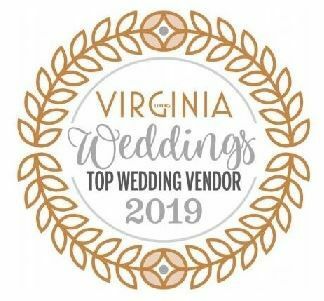 I hired a wedding planner from Charlottesville and she worked with Jacqueline at Smithfield for a year to make sure everything went great. Jacqueline was great to us and was as flexible as possible to make sure our wishes were met while respecting the fact that Smithfield is an historic site that has unavoidable restrictions. 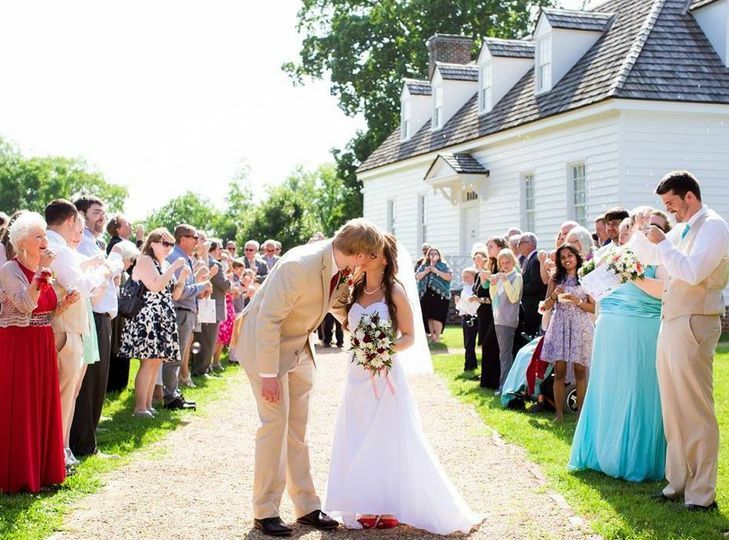 If I could do it again, I wouldn't change anything about my wedding at Smithfield Plantation! 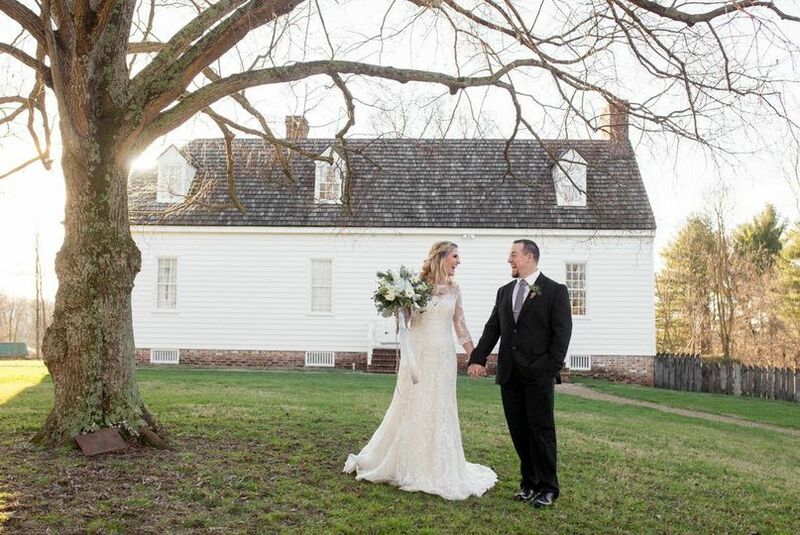 I held my cocktail hour and reception at Smithfield Plantation a couple of weeks ago (June 11, 2011) and it was absolutely fabulous. The atmosphere was stunning and my guests were amazed at the settting I had chosen. 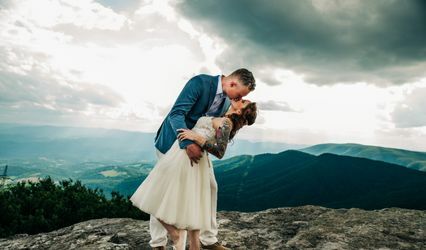 I was planning for a larger wedding (250+ guests) and had trouble finding a venue in Blacksburg to accomodate us that wasn't the Inn at Virginia Tech. Don't get my wrong - the Inn is beautiful, but I wanted something a little different and not the typical VT wedding (Wedding at the Chapel, Reception at the Inn) With our wedding being similar to a destination wedding, we ended up having under 200 guests and Smithfield was wonderful with changing our rate the weekend of our wedding! They were extremely helpful and accomodating. Our cocktail hour was held in the newly built Pavillion and it was beautiful. It gets guests away from the main test soyour cater has a chance to set up. There is an additional charge to use the Paviallion but it is well worth it. I would definitely recommend looking at the Pavillion or even having your reception there if you are having a smaller wedding. The staff at Smithfield Plantation were very polite and accomodating at all times. I toured the grounds several times even after I reserved the space for my reception. Everyone there was extremely helpful and gave me suggestions on tent layout, where to put the catering tent, where to set up the dance floor, great places for family photos, etc. They all put so much effort into making sure I would have a perfect day. They are also very flexible about allowing you tent service set up the day before and take down the tent after the weekend. I really enjoyed having my reception there, it was a great time and I have received so many compliments. Everything about it was perfect! 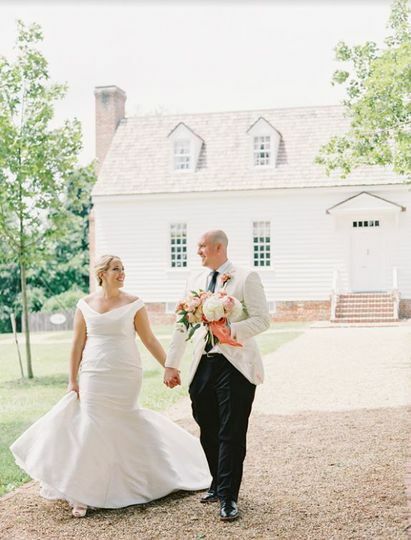 Smithfield Plantation is a beautiful place to have a wedding. The grounds are large enough to accommodate up to 500 guests and the cost is very reasonable. Plus, they charge by the number of guests so if you want to have a smaller wedding it does not cost the same as those who wish to have a larger wedding. 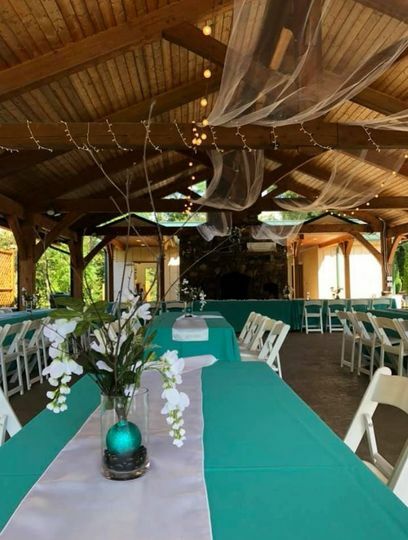 They are an historic site so you are not able to use the house for any of your events but if you want to have an outdoor wedding the grounds are quite spacious and there is a level spot that can fit a rather large tent. Also, they have an upstairs office area that I was able to use to change before the ceremony, but this is for bridal party only and you have to make sure all of your things are removed before the ceremony as you cannot get back into the house later. Overall, my experience working with Smithfield was a positive one and all of my guests commented on what a beautiful place it was to have a wedding. Of course, like many venues Smithfield is not without it's shortcomings. Because they are run by a historic association their rental coordinator (who handles events like weddings) is a rather low paying position. As a result, I worked with three different people in the year leading up to my wedding...including a staff change the week before the wedding. This made things a bit stressful having to go over everything with a new person right before the wedding. It did not have a huge impact but it is something you have to lookout for when booking at a place that employs mostly volunteers. If I had hired a wedding coordinator like I should have I really do not believe it would have been a problem. 10:00 a.m. - 5:00 p.m. Monday, Tuesday, Thursday, Friday and Saturday. 1:00 p.m. - 5:00 p.m. Sunday Tours start on the hour. Last tour at 4:00 p.m. Site visit for venue rental purposes available by appointment.